It’s been just over a month since the nation got its first glimpse of President Obama’s pipes when he broke into song singing Al Green’s classic, “Let’s Stay Together,” at a fundraising event in Harlem. 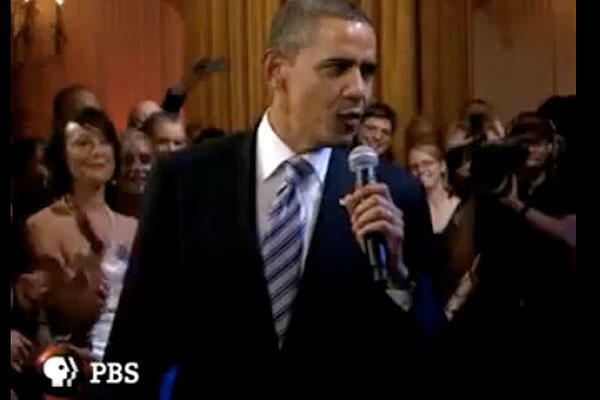 Obama took to the mic once more last night during an intimate taping of PBS’s “In Performance at the White House Series” in The East Room of the White House. The performance is scheduled to air on PBS next week on the 27th, but you can check out the President’s special cameo below.